We recently designed this wine bar using 150 year old reclaimed heart pine. 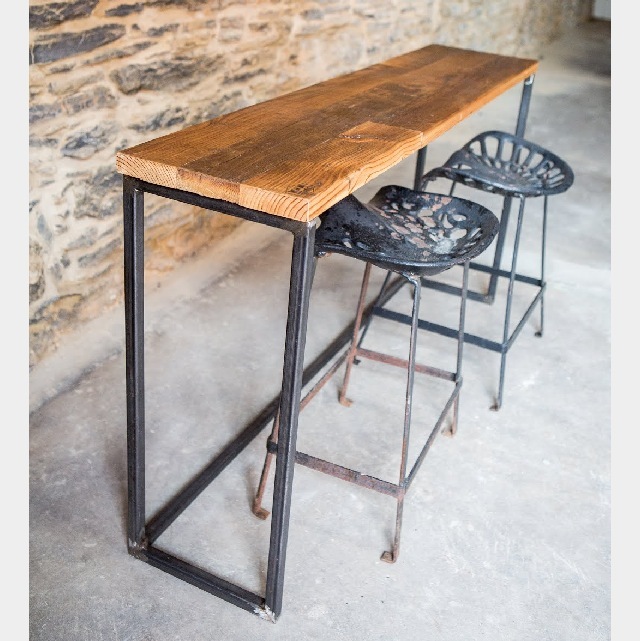 We decided to use a welded steel base to give it a more modern and industrial feel. I have a feeling we will be making many more of these in the near future! Interested in purchasing or having a custom size made?